The British Army has seen an increase in recruitment from Ireland, latest figures reveal. The prospect of global adventure and the possibility of promotion to higher ranks are among the key attractions. New intake figures obtained by the Sunday Independent show 480 Irish citizens joined the British Army, Royal Air Force and Royal Navy between 2011 and 2016. 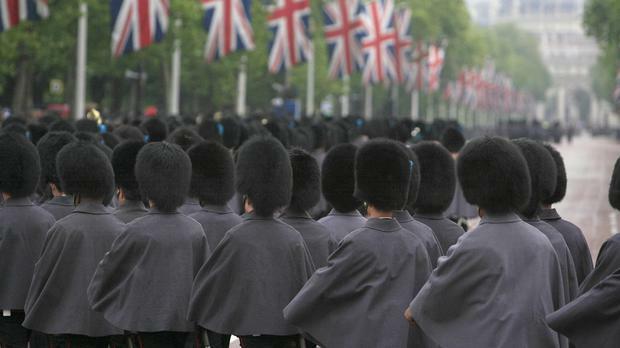 According to the Ministry of Defence, 60 recruits from Ireland joined the British ranks in 2013/2014. This compares with 110 in 2015/2016. As Irish soldiers are generally well educated - and want to make the military their long-term career - they are highly regarded by the British military. During the years of the Northern troubles, recruitment slowed to a trickle - but this is now expected to continue rising in the coming years. PDForra, the organisation which represents enlisted Defence Forces members, has argued that poor pay and conditions have resulted in low morale and fading comradeship among the rank-and-file. It was claimed some were so financially stretched that they were using social welfare financial supports to make ends meet.